Former Status : Member of the CRF, China Resistance Force. Present Status : Member of the ACTF. Description: Subject is a former member of the China Resistance Force, a paramilitary group composed of former China government black ops agents. Little is known about this group aside from the fact they opposed both Chronos and our allies the CRTF. Subject had apparently been sent to investigate the events now known as “The Seven Days of Hell” conflict in Australia when she encountered and allied herself with members of the ACTF in several of the battles following her arrival. Following those events subject has lost contact with her home base, with nowhere to return to subject has accepted membership into the ACTF. 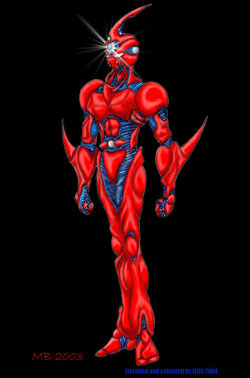 Adding yet another Guyver to our ranks in the fight against Chronos.